Ryanair €5 off discount on all flights from Germany! 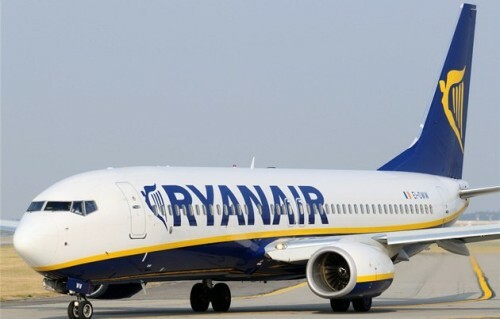 Ryanair now offers great way to fly for even better price! In cooperation with Mueller, Ryanair now offers €5 discount per one way flight on all airports in Germany! You just need to fly from any German airport and book in specified dates and you will get additional €5 off to already low Ryanair prices! Booking period is until 12.8.2013, so you have 4 days left to save your money. Travel period is limited to 15.9.2013 – 31.10.2013 and this offer is valid only on flights from Monday to Thursday. To get the discount, click here and continue with your booking via “Book now” button! « Cheap flights to Thailand! Bangkok in September for €433! MegaVolotea ultra cheap flights: just €1 across whole Europe! HIT! Super cheap last minute flights to Dominican Republic: only €200! Matt Patty on Get €600 back for your delayed flight with AirHelp!